See links below for more about this event. You can listen to this episode above and subscribe to our podcast on iTunes. You can also listen to this episode on Stitcher, Cyber Ears or download it on Archive.org (60mins, 46MB). 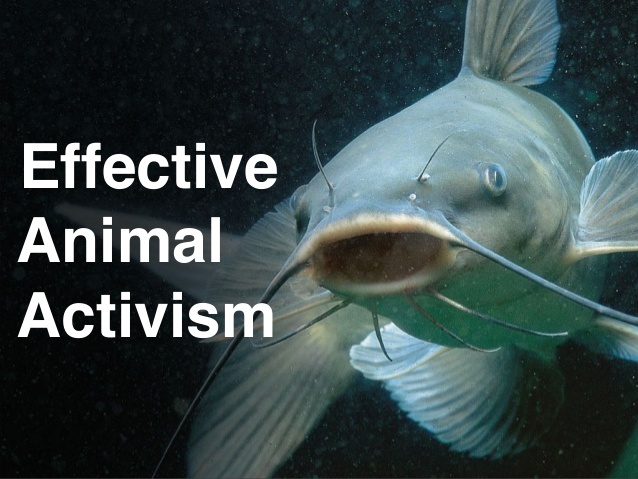 We are joined by activist-scholars Jess Ison and Adam Cardilini who discuss what The Institute for Critical Animal Studies (Oceania) is all about, the importance of community in activist movements, call in versus call out culture and the upcoming workshop-based discussion forum in Melbourne: Community as Activism – Building Community within the Animal Liberation Movement and Beyond. Saturday 4 August, 1-5pm at Library at the Dock (107 Victoria Harbour Promenade, Docklands). The event is free but registration through this link is essential to ensure your spot. For more information about this event, see the Facebook event page. Viewing anything as THE real issue is an issue. All forms of oppression are connected and important in their own right. We also discuss subjectivity and objectivity in academic writing, science and animals, links between community and avoiding activist burnout, the Melbourne Anarchist Bookfair, and the femme panel from the most recent ICAS conference. This episode is replayed from Freedom of Species, an animal advocacy show on 3CR community radio, which Nick now regularly hosts. This show is broadcast live on 855AM in Melbourne 1-2pm every Sunday and if you’re outside of Melbourne you can listen in live 1-2 Melbourne time/AEST on 3cr.org.au – the show is also on iTunes. You can listen to all of the episodes that Nick has been on here. Hayley Kiyoko ‘Girls Like Girls’, Petrol Girls ‘Treading Water’, David Rovicks ‘I’m a Better Anarchist Than You’, The Tuts ‘What’s on the Radio?’. You can listen to this episode above and subscribe to our podcast on iTunes. You can also listen to this episode on Stitcher, Cyber Ears or download it on Archive.org (55mins, 45MB). On this episode we look into skepticism and rationality, with the help of scientist Dr Adam Cardilini, host of VeganSci podcast. We particularly focus on how skepticism and rationality relate to radical, anarchist, environment, veganism, Left etc politics. More specifically, we cover: “drop babies”, ghosts and “the Ghostbusters ruling”, GMOs, Derren Brown, alternative medicine, veganism and medication/vaccinations, atheist critiques of “new atheists”, and fresh versus frozen/tinned food. We also return to the topic we covered last episode #203 and look into the (lack of) evidence supporting the arguments behind trickle-down economics. If you enjoyed this episode, you may want to check out our episodes on atheism (#87 and #88) and fake news (#180 and #181). We also recommend the skeptic podcasts The Infinite Monkey Cage and Token Skeptic. Trick or Treatment by Professor Edzard Ernst and Simon Singh. Dead Prez ‘Psychology’, Cursive ‘Big Bang’. You can listen to this episode above and subscribe to our podcast on iTunes. You can also listen to this episode on Stitcher, Cyber Ears or download it on Archive.org (51mins, 39MB). This episode features Adam Cardilini asking Nick questions about anarchism. These questions come out of the anarchism and animal liberation panel discussion from ICAS 2016, which we played on episodes 152 and 153. You can listen to the Q and A session following this panel discussion here. We also discuss direct democracy, consensus decision making and the Occupy movement. For more information on anarchism, check out: Nick’s talk veganarchism (which we played on episode 134), Which Side podcast with Vegan Warrior Princesses, Anarchist FAQ, David Graeber’s book Fragments of an Anarchist Anthropology and pamphlet ‘Are You An Anarchist? The Answer May Surprise You!’, the documentary The Take and the TV show Mr Robot. Leftover Crack ‘Corrupt Vision’, meerkatmedia ‘Consensus (Direct Democracy @ Occupy Wall Street)’, Propagandhi ‘The State Lottery’. You can listen to a short (7 minute) version of this episode, which features a shortened version of Nick and Adam’s discussion on anarchism, here: Questioning Anarchism. You can subscribe to these short versions of our episodes through Omny. You can listen to this episode above and subscribe to our podcast on iTunes. You can also listen to this episode on Stitcher, Cyber Ears or download it on Archive.org (50mins, 38MB). 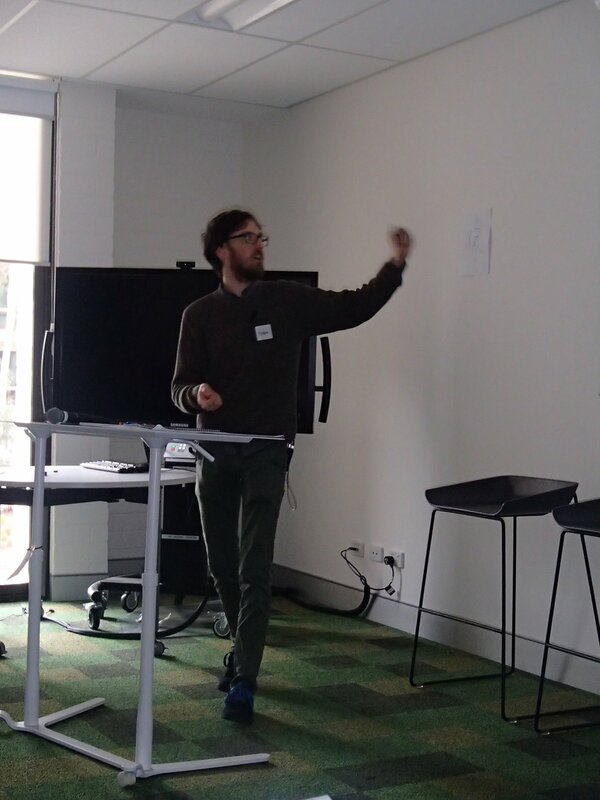 Nick is joined by Adam Cardilini to give a recap of the 2016 Institute for Critical Animal Studies (Oceania) conference. We play some of the panel discussion on anarchism and animal liberation from the conference, featuring Jess Ison, Lara Drew and Nick. You can listen to all of the talks from this conference here and each talk is also listed individually below (at the bottom of the show notes for this episode). Also covered on the episode is: the activism we did as part of the conference, Living Green Festival, The Beet Retreat, Dr Sy Woon and Sentient: The Veterinary Institute for Animal Ethics, and the book Anarchism and Animal Liberation: Essays on Complementary Elements of Total Liberation which Lara mentioned during the panel (it has a chapter she co-wrote). You can view photos from the conference by Jyoti Dambiec and photos and tweets from @veganarchyy – contact us at progressivepodcast@gmail.com if you have photos you’d like us to link to. In order to be notified about future conferences, like/follow ICAS Oceania on Facebook and Twitter and subscribe for email updates from ICAS Oceania. You can also listen to a recap of last year’s ICAS Oceania conference, as well as see links to all of the talks from this conference, on episode 108 of our podcast. Follow our blog and/or subscribe to our podcast on iTunes or Stitcher to stay up-to-date with future episodes from us. Camp Cope ‘West Side Story’; Jess Ison, Nick Pendergrast and Lara Drew ‘Anarchism and Animal Liberation‘; Gilmore Girls ‘A Year in the Life’ – episode 2; Propagandhi ‘A People’s History of the World’. You can listen to a short (10 minute) version of this episode, which features a shortened version of Nick and Adam’s conference recap: Reap of ICAS Oceania 2016, Featuring Adam Cardilini. You can subscribe to these short versions of our episodes through Omny. Adam Cardilini: Diversity in animal activism: Preparing for impact opportunities for the next 10 years – played on episode 156. Adam Cardilini, Emma Hurst and Kirstin Leiminger: Animal Activism Q And A.
Alex Vince: Challenging The Pest Epithet. Bede Carmody: Sustainable activism: How to avoid becoming burnt out as an activist – played over episodes 177 and 178. Carol Drew: Mind over Matter. Cassie Giudice: Transgender Awareness And The Law – played on episode 170. Colin Salter: Normativity, Intersectionality & States Of Exception – played on episode 174. Eliza Littleton: The Inhumane Economy: How capitalism hinders real transformation in the lives of animals. Eliza Waters: “Live The Good Life”: Discourses of development and modernisation and the export of Australian meat to Asia and the Middle East. Emma Hurst: Why would somebody continue to eat animals once they become aware of the cruelty? Emma Wannell: The ideology of efficiency and the human-nature relationship: Exploring the implications of the pursuit of efficiency in the animal agriculture industry. Jackson Walkden-Brown: Power, Knowledge and Welfare in Australian Intensive Farm Animal Production. Jeanette Carroll: Animal Activism of the Poor in Australia—Is anyone paying attention? Jess Ison: Skeleton And Cow: The Body Constructed As Diseased. Jess Ison, Nick Pendergrast and Lara Drew: Anarchism and Animal Liberation – played on this episode (#152) and episode 153. Jess Ison, Nick Pendergrast and Lara Drew: Anarchism and Animal Liberation Q and A.
Kirsten Leiminger: Bridging the gap: From theory to practice in abolitionism. Leigh-Chantelle: Ethics Beyond the Plate – video, audio. Mike Rosalky: Animals and Law—An Overview. Nick Pendergrast: Cowspiracies about Meat Eating Environmentalists: A Critical Examination of the Environmental Vegan Movement – PowerPoint, audio – played on episode 172. Nicole Godwin: Animals and Art. Richard Iveson: In the Belly of the Beast. On the Force-Feeding of Servitude in Plato’s Republic. Shan Crosbie: Animals and art: understanding the exploitation of animals through art history. Stuart White: Eating the earth: Food, diet and sustainability. Sy Woon: Speciesism – and Inherent Barriers to Ethical Changes and Animal Advocacy – in the Veterinary Industry – played on episode 192. Tamasin Ramsay: Brahma Kumaris And Veganism. Teja Brooks: In The Prison House Of Reason: From Pain Management To Total Liberation. If any of the speakers would like any changes to the way you or your talk is described, or would like any edits to the audio of your talk, or would like to send us your powerpoint so we can link to it, please contact us.